Pantone may have declared 2013 as the year of emerald, but we have a feeling that purple—from lavender to grape and every shade in between—will be popping up everywhere this year, thanks to the stylish First Family’s sartorial choices during Monday’s inaugural ceremony. 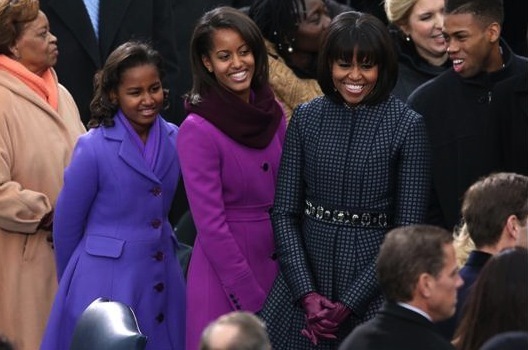 Channeling true American royalty in a trio of perfectly-coordinated purple jackets, Sasha, 11 (in a violet Kate Spade New York coat), Malia, 14 (donning a J.Crew jacket and merlot infinity scarf) and FLOTUS Michelle Obama (in a checkered Thom Browne topper with eggplant gloves) looked tailored to perfection during Monday’s daytime festivities. 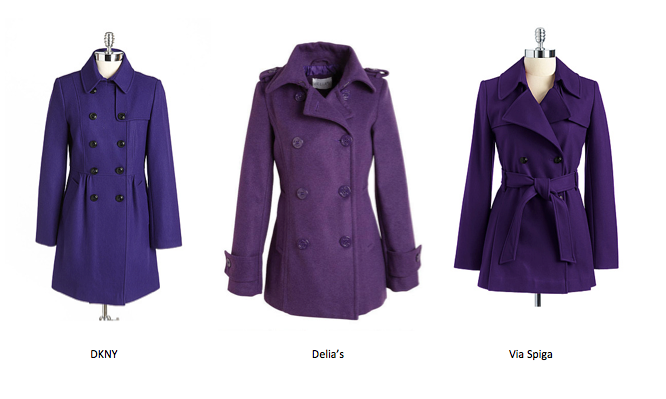 Inspired, Shopilly set out to find the perfect purple pieces to add to our own cold-weather wardrobes this season. Learn how to get the look, and tell us what you think of the Obamas’ inauguration style below. Malia opted for J.Crew’s double cloth lady day coat in fresh plum ($325, take an extra 40% off all sale items), crafted of luxe Italian wool and lined with cozy Thinsulate for an extra layer of warmth against the East Coast freeze. We also found this luxe fuchsia stunner by Chloe ($900 at Farfetch.com) which we think is the perfect pop of color over cocktail dresses and eveningwear. For a more affordable everyday option, snag a wild cherry topper by Merona ($41.98 at Target) to channel the spirit of the older Obama sib. While Sasha’s custom Kate Spade New York coat isn’t available for purchase, we found a handful of violet delights that may tickle your fancy. 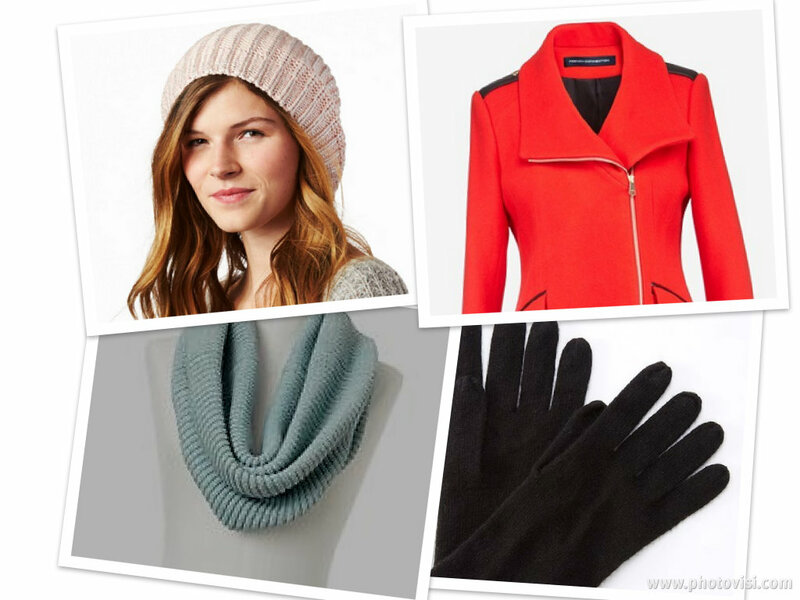 DKNY’s darling double-breasted jacket (on sale for $129.99 at Lord & Taylor), Delia’s Devin peacoat ($59.50, score free shipping until Thursday!) 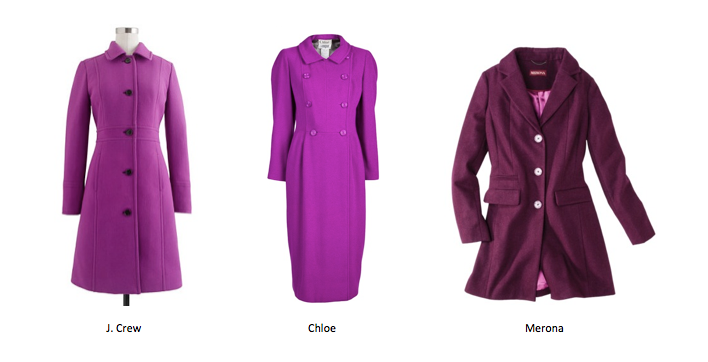 and Via Spiga’s belted trench ($111.99 at Lord & Taylor) are a few plum options—all under $150, to boot! As for the most stylish First Lady since Jackie Kennedy? 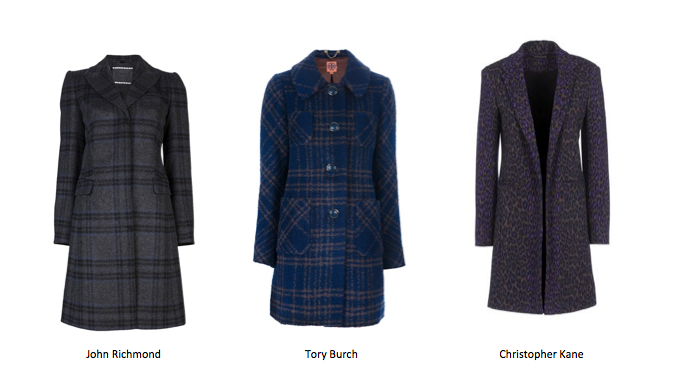 Get Michelle Obama’s sleek, sophisticated look by pairing a dark checkered jacket, such as John Richmond’s plaid wool topcoat ($1,475) or Tory Burch’s tartan jacket ($548.16, both available at Farfetch.com) with black stovepipe skinnies and leather boots. Or opt for Christopher Kane’s lovely leopard style ($1,078 at thecorner.com), perfect for cinching with an embellished belt.